The European Union’s (EU) engagement policy towards authoritarian and hydrocarbon-rich Turkmenistan has so far yielded little success. It is indeed a challenge for the EU to fnd the right balance between its growing energy consumption on the one hand, and its commitment towards improving human rights, the rule of law and sustainable human development in Central Asia, on the other hand. The EU has to diversify its energy supplies. First, in order to obtain a better bargaining position and second, to avoid possible energy cut-offs in the future. Meanwhile, Russia strives to preserve its monopoly status as a supplier for the EU and as a large consumer of Turkmen hydrocarbons. This makes EU-Turkmenistan cooperation very attractive as a way of countering the Russian monopoly. Russian and Chinese presence in the local Central Asian and Turkmen energy markets makes the EU anxious to compete for Turkmen gas, increasing Turkmenistan’s leverage to choose between the EU, China and Russia. Since 2007, the EU has stepped up its efforts to build closer ties with Turkmenistan, which possesses the world’s fourth largest natural gas reserves. It has done so mainly through its Central Asia Strategy and an accompanying regional assistance approach, but also through an energy-related bilateral Memorandum of Understanding (MoU). Basically, the EU’s policy intends to induce positive change in a target country by frst gradually engaging in economic cooperation and then slowly achieving human component reforms. In this sense, a wide range of programmes were initiated in the Strategy’s political, economic and human dimensions through the framework of the TACIS (Technical Assistance to Commonwealth of Independent States) programme, which in 2007 was replaced by the Development Cooperation Instrument (DCI). An Interim Trade Agreement entered into force in 2010, while the ratifcation of a broader Partnership and Cooperation Agreement (PCA) between the EU and Turkmenistan is still pending. EU expenditure on Turkmenistan through bilateral support programmes amounted to €22 million for 2007-2010 and €31 million for 2011-2013. In the past two years, the EU has made new attempts to improve its relationship with Turkmenistan. Some instances include the visit of European Commission President José Manuel Barroso and EU Energy Commissioner Günther Oettinger to Ashgabat on 14-15 January 2011, and the speech by EU Special Representative for Central Asia Patricia Flor at the Turkmenistan Oil and Gas Conference held on 14 November 2012, which she delivered on behalf of EU Energy Commissioner Günther Oettinger. The speech touched on energy cooperation and urged Turkmenistan to ‘sign attractive long-term supply contracts with European companies’. However, the EU-Turkmenistan political dialogue should not be limited to energy cooperation and more efforts should be devoted to promoting human rights and democracy in the country. The reason why the EU’s multi-faceted approach so far has not succeeded in attracting Turkmen gas or in promoting reform is a double-edged sword. President Berdymuhammedov fully controls the country’s lucrative hydrocarbon sector and evidence suggests that good personal relations with the president remain crucial for acquiring a share in Turkmen businesses. The Turkmen leadership is keen on maintaining its control over resource management and is confdent that the EU is not the only market for Turkmen gas. So far, the EU-Turkmenistan annual Human Rights Dialogues, held since 2008, have failed to bring about the intended changes in Turkmenistan. The Turkmen government continues to commit serious human rights abuses, such as the lack of political and civil liberties, arbitrary arrests, the absence of free media and Internet access, restrictions on religious freedom and on the freedom of movement for some citizens, including increased restrictions on those intending to study abroad and those who have double citizenship. In addition, the situation of the education and healthcare sectors is of increasing concern. Since the collapse of the Soviet Union, health services have been deteriorating at a rapid pace. Gaps in medical education and the brain drain have made the situation even worse; Turkmenistan lacks specialists, as well as facilities in its regions beyond the capital. Another striking issue is the concealment of HIV and tuberculosis cases from the general public and the international community. The education system has also undergone dramatic changes, which allow the Turkmen leadership to raise easily-manipulated, politicallyapathetic generations susceptible to constant brainwashing. Inducing positive change in Turkmenistan is not easy. First, because promoting sustainable human development and human rights is not the EU’s sole objective, given its energy interests in the country and in the Central Asian region as a whole. Second, the political will for reform is lacking in Turkmenistan and so is a critical mass demanding change. It will be diffcult for the EU to promote change from the outside. Assistance is a two-way street: the giving hand must be met by an accepting one. Turkmenistan, however, is rich in resources and so far has showed ambivalence towards the international community’s concerns over its human rights record. Brussels has a rather tough challenge to face. It is eager to enhance EU-Turkmenistan relations, while at the same time pushing forward ethical concerns due to its human rights commitments but with little leverage and hope of success. Despite being heavily criticised by sceptics for, inter alia, the lack of concrete advances in terms of human rights, the EU should continue providing assistance to Turkmenistan in such vital spheres as education, ecology and healthcare, as disengagement would ultimately affect the population, not the state. Despite losing some impetus along the way, mainly due to government corruption in Turkmenistan, the assistance does have an impact in areas such as education, where the Turkmen state lacks expertise and experience and has requested support to reform. Promoting education programmes and providing opportunities for the Turkmen youth will help to develop a critical mass within the country, which in time will be able to push for and hopefully induce reforms. The EU’s engagement policy might just pay off in the long run. Since the disintegration of the former Soviet Union, democracy promotion has become an increasingly central feature of the European Union’s external relations with the Central Asian states. 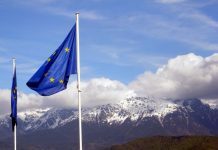 While the EU often recognises the importance of these countries in terms of their potential role in the EU’s evolving energy security strategy, it has also expressed a strong commitment to promoting better governance in the region and encouraging these states to alleviate their democratic and human rights defciencies. However, EU efforts to trigger democratic change in Central Asia have yet to bear fruit. 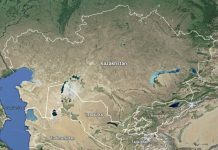 This article provides an overview of the EU’s involvement in Central Asia, the diffculties it faces in promoting democracy, and fnally some thoughts on how the EU can foster a democracy agenda in the region. In recent years, the EU and its member states have identifed Central Asian countries’ energy reserves (mainly from Kazakhstan and Turkmenistan) as an opportunity to diversify their energy supplies and lessen their dependency on Russia. The vast oil and gas resources held by these countries represent good opportunities for Europe’s energy expansion policies and its future economic prosperity. Moreover, their convenient geographical location in Europe’s ‘near abroad’ is an additional factor that renders these countries very strategic for the EU. However, energy resources in the Central Asian states have been strongly associated with political instabilities, 2 EUCAM essay competitionfragile economies and weak societal and institutional structures. Consequently, and given the stake of its energy interests in the region, the European Union has made a priority of enhancing its relations with Central Asia. In 2007, the EU issued a Regional Strategy Paper for the Central Asian states, with the aim of boosting its relationship with the region and promoting security, stability and regional development. Additionally, the EU has signed bilateral agreements with some Central Asian states within the framework of the Partnership and Cooperation Agreements (PCAs). Meanwhile, the European Commission’s Regional Assistance Strategy Paper 2007-2013 indicates development assistance priorities. In all of these agreements, human rights, good governance, democracy and social development have been identifed as ‘priorities of cooperation’. Yet, to date progress has been disappointing. Hardly any advances have been made regarding the EU’s agenda on the rule of law, democratisation, human rights and good governance. Reports published by Freedom House (2012), as well as the Bertelsmann Transformation Index (2012), indicate that democratic development in Central Asia remains weak, and in some states conditions are rapidly deteriorating rather than improving. Similar views are shared by many civil society organisations. Clearly, the EU has failed to trigger domestic change in the key policy areas that have traditionally been viewed as the cornerstone of the EU’s identity and external policies. 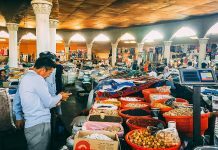 To understand why EU engagement in Central Asia has not brought about the desired results, one has to assess the political and economic dynamics of the region. 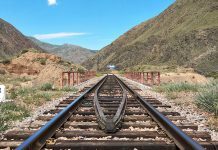 First, the EU’s struggle to implement change in Central Asia can be largely explained by the authoritarian nature of the regimes in place and by the specifc complexities that characterise the Central Asian region. The democratic reforms promoted by the EU have often been viewed by Central Asian leaders as a direct threat to their countries’ political and economic sovereignty. For this reason, reform implementation remains weak. Second, the EU is in greater need of energy resources (oil and gas) and seeks energy imports from Central Asia. It has no solid political and material leverage on these states, thus directly creating an asymmetry in relations that will undermine the implementation of the EU’s goal of achieving democracy, human rights and good governance. Finally, there are serious shortfalls in the content of the EU’s initiatives for Central Asia. Although specifc objectives for meeting EU democratic standards are addressed in the current Strategy, they do not provide specifc measures to be taken to achieve these objectives. Thus, current EU strategies towards the region need to be reviewed. 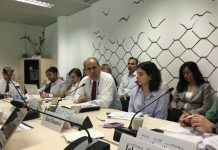 If the EU intends, as it claims, to emerge as a strategic and reliable partner to Central Asia, its policies should be more focused and better coordinated in relation to democratic processes in the region, while encompassing at the same time specifc regional and domestic aspects of Central Asia’s ruling elites. Economic and geopolitical interests need to be strategically linked to broader EU democracy promotion, human rights and good governance. Looking ahead, the third Progress Report on the Implementation of the EU Strategy for Central Asia, with an Implementation Review and outline for Future Orientation (2012), offers an opportunity for the EU to learn from past mistakes in this and other regions and apply the lessons learnt in order to have a meaningful impact in Central Asia. Within the current Strategy, there is evidence that the EU recognises a certain democratising potential at sectoral cooperation level. The EU stresses the importance of promoting close cooperation in the areas of security, trade and investment, education and energy, and of encouraging these countries to implement democratic and market reforms. Yet, so far the EU has not integrated such a concept into each and every sectoral programme. By focusing on more indirect ways of democracy promotion through sectoral cooperation (integrating democratic principles such as participation, transparency and accountability), the EU will signifcantly impact on the democratisation process and improve the quality of its development policies and implementation strategies at the national and regional levels. If there is a lesson to be learnt from the Arab spring, it is that democracy and strategic interests should not be viewed as mutually exclusive entities, but rather as mutually reinforcing. As such, the EU can still make a difference in Central Asia and address its defciencies in terms of democracy, human rights and good governance if it deploys the right tools and instruments that play to its advantage. This is vital if the EU is to compete with other regional players such as Russia and China, who are also eager to apply soft power policy practices in this part of the world. What role for the EU in education and people-to-people contacts? Stop any random person in the street in Kyrgyzstan, Uzbekistan or any other Central Asian country, and ask them a couple of questions about the EU, and most people will not be able to answer or they will probably answer with suspicion and doubt. The same would apply to the EU, if people were approached with questions about Central Asia. Lack of information is the root cause of fear and mistrust. Only education and wellthought and thorough people-to-people initiatives can help remedy this. One will not learn about a country, its people, its beauty, cuisine, traditions, standards and norms simply through reading development reports. This is possible only through personal experience. The common perception of Europe in Central Asia is the occasional NGO worker or consultant who brieﬂy visits the region to follow up on projects and write development reports. EU soft power remains weak in Central Asia because it is random EUCAM essay competition 3and ad hoc. 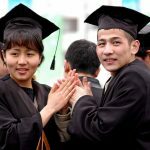 To improve understanding about the EU in Central Asia and to expand Europe’s soft power projection, the EU should invest on educational exchange programmes and people-topeople contacts. First, educational exchange programmes are important as they help shape individuals’ futures, bringing people together and teaches skills from a young age. I was a high school exchange student in the U.S. through the Freedom Support Act. This experience brought me closer to the American people, while it helped many Americans to understand Central Asia and more specifcally Uzbekistan. In a sense, I functioned as a cultural ambassador of Uzbekistan to the U.S. I perfected my English, learned and embraced a different culture, became confdent and acquired valuable leadership skills that allowed me to advance in my educational and professional careers. This is a model that the EU should consider to replicate. Staying with a European host family while attending high school or university, for example, is an effective tool for bringing people of Central Asia and the European Union together. Second, giving Central Asian students an opportunity to study in highquality EU universities will expand the intellectual capacity of future professionals. The U.S., for example, issues specifc visas, whereby students who undertake U.S.-sponsored educational programmes are obligated to return to their home country for two years after having completed their studies. Third, bringing EU students to local Central Asian universities for a semester or two will be highly benefcial for both sides. Having a foreign student in a classroom will force local professors to teach responsibly, and will help alter certain practices, such as bribes. Also, local students will beneft from the unique opportunity of studying with Europeans and being exposed to different cultures, standards, and norms. In turn, this will help EU students expand their understanding of the region, learn Russian or one of the Central Asian languages, receive a unique cultural experience and build friendships with local students. Grassroots connections are sometimes much more effective than general policies, which not always trickle down to the population. 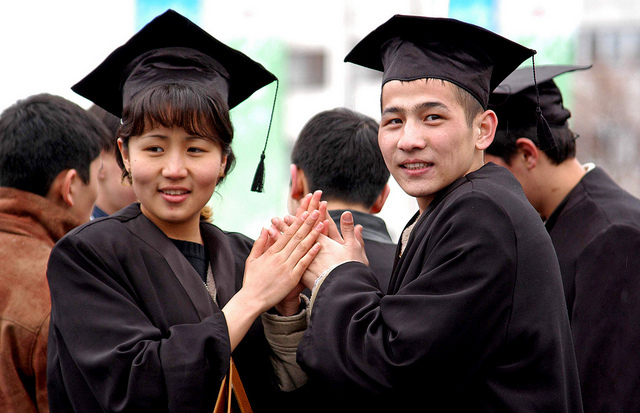 Fourth, the number of internships available for Central Asian students in Europe must be expanded. For instance, there are only approximately 10 internship opportunities for students from the OSCE Academy in Kyrgyzstan available in European organisations and think tanks. OSCE Academy students have undergone strict selection procedures and have been chosen amongst hundreds of applicants and they will return to the Academy after their mandatory internships (in their home country, abroad, or in Bishkek) to take their exams, defend their MA theses, and graduate. 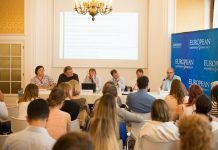 If it is diffcult for OSCE Academy students to obtain internship positions in Europe, it is practically impossible for students from other Central Asian universities do to so. Cultural events and centres, music festivals, literature reading nights, crafts and arts shows, workshops and so on are crucial for bringing people together. Sharing such cultural elements is one of the best ways of understanding one another. Establishing cultural centres would greatly improve knowledge about the EU in Central Asian countries. In Tashkent, a Goethe Institute has been established, which is a very popular destination for youth interested in improving their language skills, learning about educational opportunities, conversing with Germans, or simply watching a movie. This type of initiatives should also be expanded beyond Tashkent to provincial capitals and towns. I had the opportunity to work with youth projects in Uzbekistan under the United Nations Development Programme (UNDP) and meet young people in villages and towns who were eager to be active and to learn. Capital dwellers are sometimes victims of apathy and an overload of opportunities and choices. Working in rural areas will help build friendship and trust between Europeans and Central Asians. Second, tourism is an area that needs to be explored further. Central Asia is full of magnifcent historical and natural destinations. 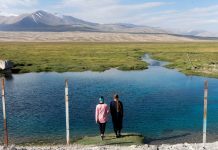 Eco-tourism is becoming a popular trend and journeys to Central Asia could be promoted. Conversely, tourist visas for Central Asians wishing to visit Europe should be more easily available. These measures, mechanisms and programmes can bring Europeans and Central Asians closer together and make us less foreign to each other. While learning a new culture, a person actually rediscovers the very culture of his own – what a beautiful combination of actions.